Mediobanca and Pirelli are pitching in on a 773 mln euro bid for the Corriere della Sera publisher with Investindustrial, beating a rival bid. Putting RCS in the hands of powerbrokers sounds like a backward step. But the cash offer avoids some bad old salotto buono habits. RCS MediaGroup S.p.A. logo is seen outside the headquarters in Milan, Italy. 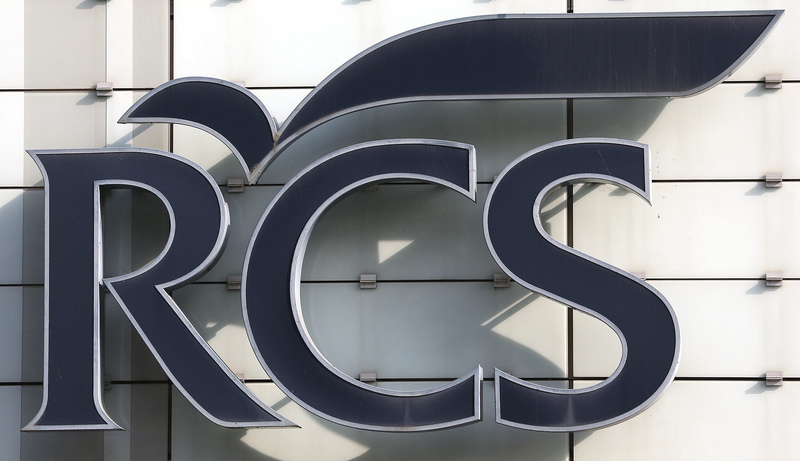 Mediobanca, Pirelli, financial investor Diego della Valle and insurer UnipolSai made an offer along with investment group Investindustrial to buy the outstanding shares of RCS MediaGroup SpA at 0.70 euros a share on May 16. The offer will be made through a new company, into which the four large shareholders will contribute their holdings, currently 22.6 percent, and invest further funds to enable the share purchase. Investindustrial, founded by Andrea Bonomi, will own 45 percent of the bidding company. The offer follows a proposal by Cairo Communication to swap a stake in itself for at least 35 percent of RCS. That offer was worth 0.53 euros a share on May 16.